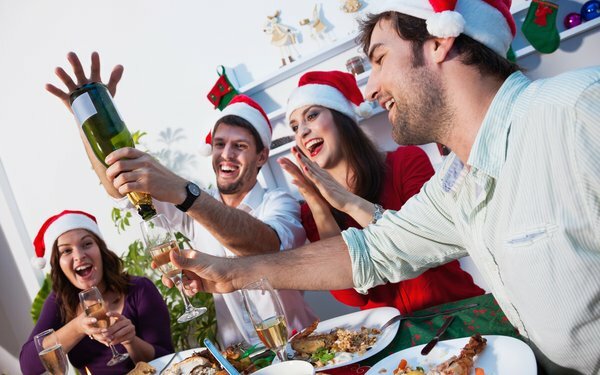 A new poll by NPR/PBS shows that millennials want to be all-inclusive — only 38% prefer “Christmas,” whereas 53% like the more generic greeting. And 3% don’t care. But 68% of baby boomers, those over age 60, would rather say “Merry Christmas.” And a majority of GenXers agree on them. Not much comfort there for people who don’t celebrate Christmas. That’s not the only difference between millennials and their parents. The study also found that millennials prefer credit cards to cash — no big surprise, considering that they are the most likely age group to do all of their holiday shopping online. Of the millennials polled, 63% planned to use credit cards this year and the remainder planned to use mostly cash. Only 44% of baby boomers wanted to use credit cards. Of those polled, 83% planned do at least some of their shopping online, with 27% specifying most of it, and 10% saying they plan to do all online. In contrast, 50% of baby boomers expected to do none of their buying online. The survey apparently didn’t ask about smartphone payments -- a growing trend. For what it’s worth, millennials are also the most likely to put up artificial trees and the least prone to use real ones. However, in that respect they are rivaled by baby boomers, who may be wary of using live trees. But it turns out that millennials are traditionalists in at least one area: They apparently prefer paper greeting cards sent via the U.S. Postal Service to email or other electronic greetings. Hallmark reports that millennials are outpacing every other group in spending on greeting cards. They now make up almost 20% of the purchasers, and could the salvation of the USPS, according to The Atlantic. In addition, Hallmark has found that 82% of millennials like receiving cards, and that they keep and cherish them. Moreover, 72% enjoy sending them. Here’s one last finding that may interest brands: A growing number of greeting cards feature photos of…pets. For its study, NPR/PBS defines millennials as being in the 18-29 age group.